Let our trained staff help you with your grain handling systems! Many of our employees have agricultural backgrounds, having either been raised on farms or worked on farms. Wiring of grain handling systems have been a part of our business since its inception. 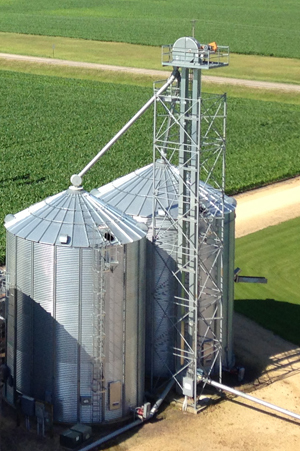 Grain legs, storage bins, transfer augers, air vac systems and bin aeration systems are some of the systems that we can help you with. With underground trenching and aerial lift trucks available, we can efficiently and safely wire any grain handling system you may have.